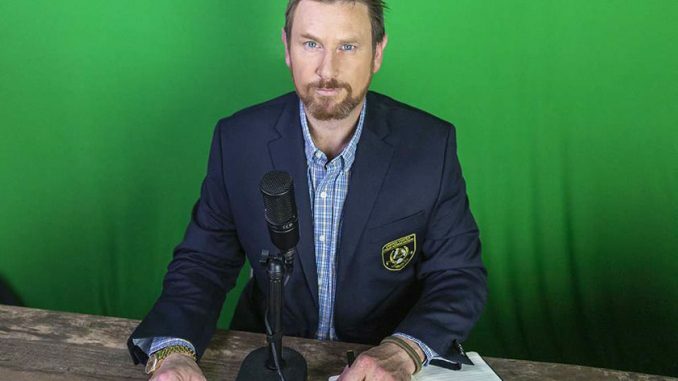 Trading in his polo boots for a microphone, Toby Wayman has achieved notability as the face of the USPA Polo Network since 2017, educating and entertaining online viewers on an international stage with his lively and observant commentary. Born in San Antonio, Texas, the son of legendary American 10-goaler and Hall-of-Famer Tommy Wayman, Toby became a 2-goal pro at the height of his career, playing across the United States and Canada. 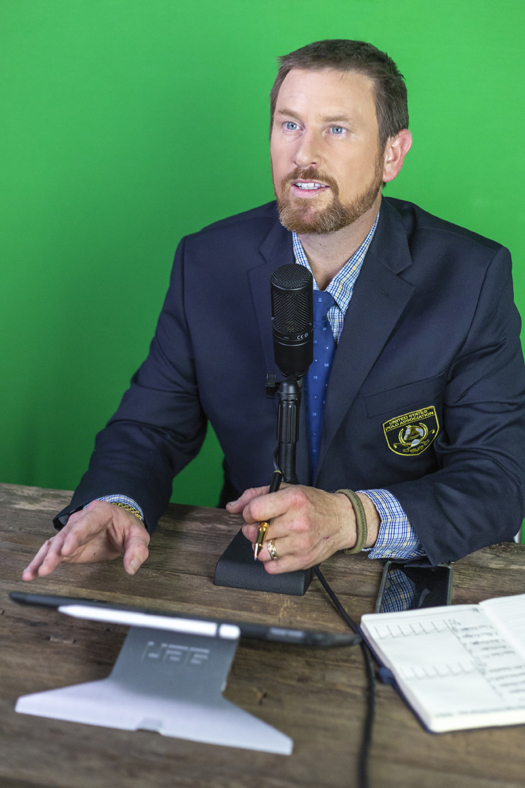 Following the premature end of his career, Toby unexpectedly found himself forging a new path in broadcasting, reinventing himself as he transitioned from one side of the boards to the other. 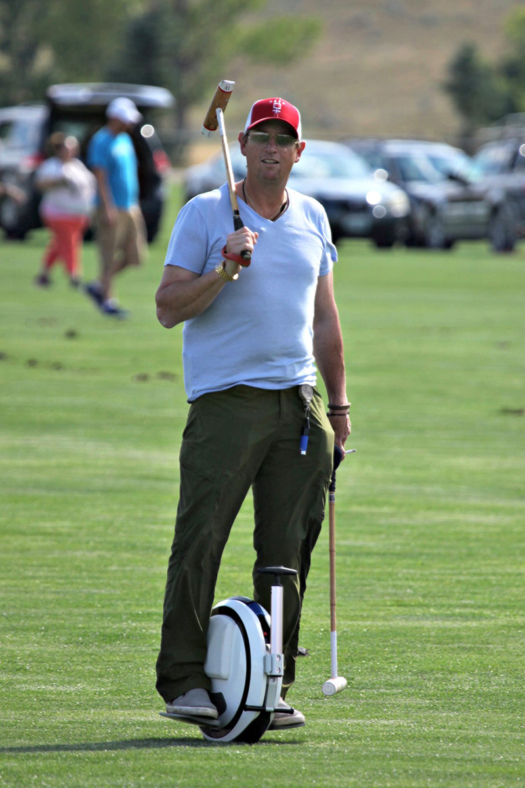 Announcing for clubs across the country and previously working for ChukkerTV, Toby’s authority lies in his extensive knowledge of the game, catering to both die-hard polo fans and curious newbies. Calling Big Horn, Wyoming, home since his teenage years, the soon-to-be father of two boys now spends most of his time in Wellington, Florida, with his wife Brittany, young son Jackson and their family bulldog Jelly. An avid bonsai gardener, Toby’s quirky personality shines through in his commentary which is characteristically peppered with personal anecdotes. 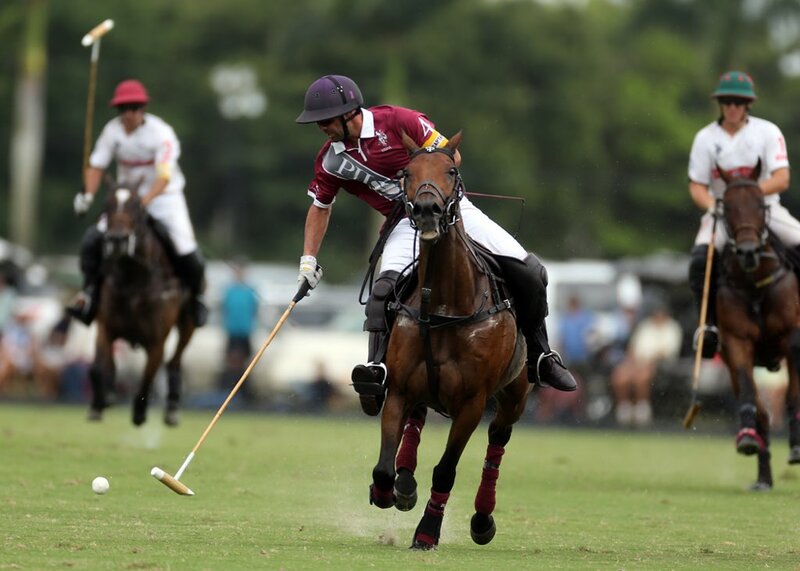 Sitting down with the USPA just before the start of the robust 2019 high-goal season, Toby shed some insight into his process, recent trip to Argentina, and the key to capturing and sustaining an audience. 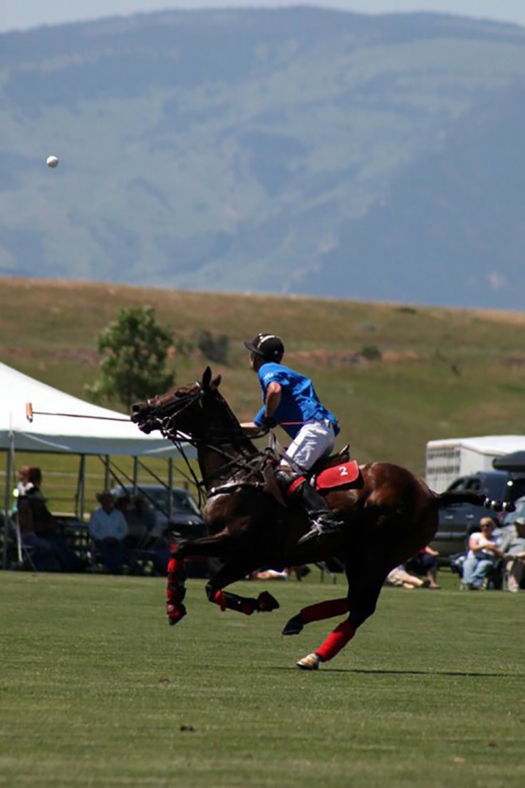 Toby playing polo in Wyoming. 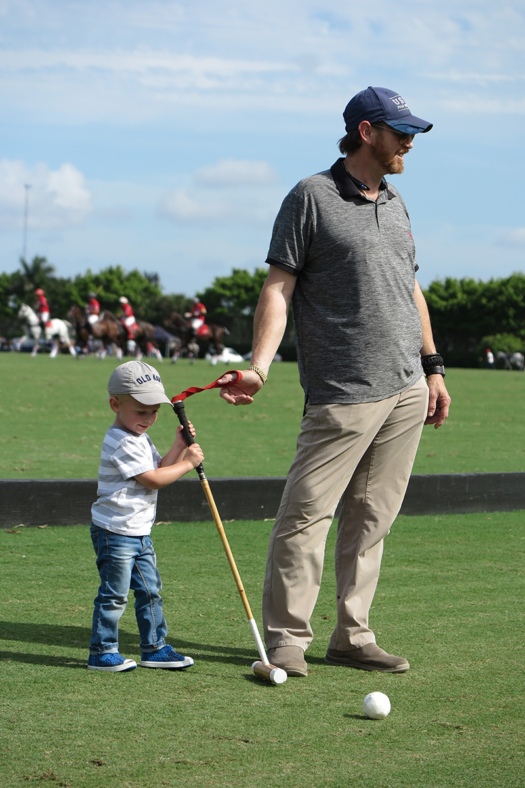 “My father, Tommy Wayman, was formerly 10-goals, and both my grandfathers and my uncle played; so the whole family revolves around the sport of polo. My dad was always my hero growing up so I had to be just like him, I even dressed like him. My mom would always buy clothes in two sizes, one for him and one for me. How did you transition from playing professionally into announcing? “I was playing in an 8-goal tournament in Aiken, South Carolina, when I got hit on the field, but I didn’t think much of it. My ribs kept hurting more as the days went on so I went to the doctor and found out I had a really rare form of bone cancer. I had to have 10 inches of rib cut out which meant that I could die if I got into an accident. Between a knee injury and my ribs, I decided to retire from playing about eight years ago. Toby and Jackson enjoying a game from the sidelines. How has your playing knowledge helped or influenced your analysis and commentary? “I think my advantage over some announcers is that everything that I announce up to 26-goals I’ve played myself, with the exception of going to Argentina recently. Because I’ve played those levels of polo myself, I know what it’s like to be there and what it takes. 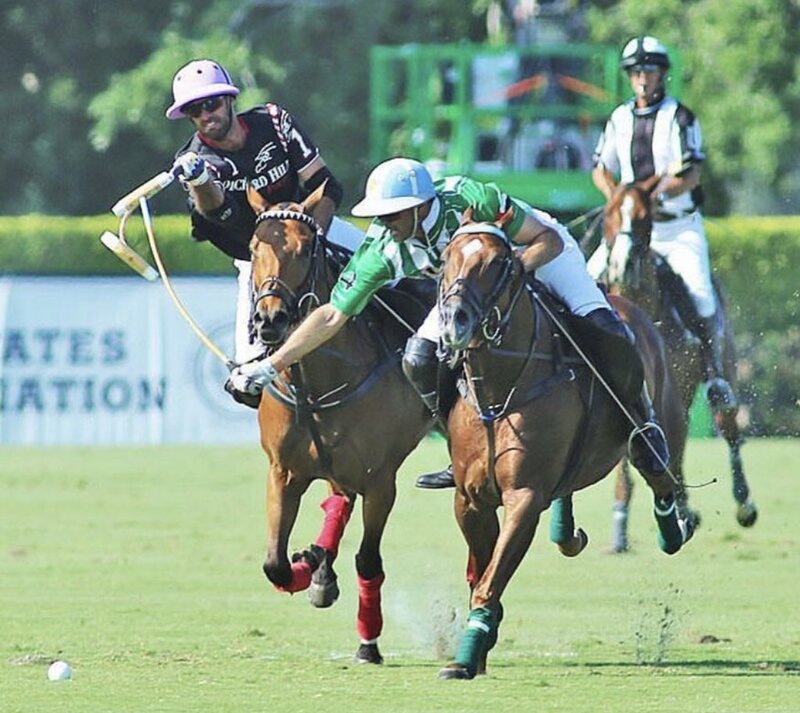 How do you prepare for a USPA Polo Network broadcast? 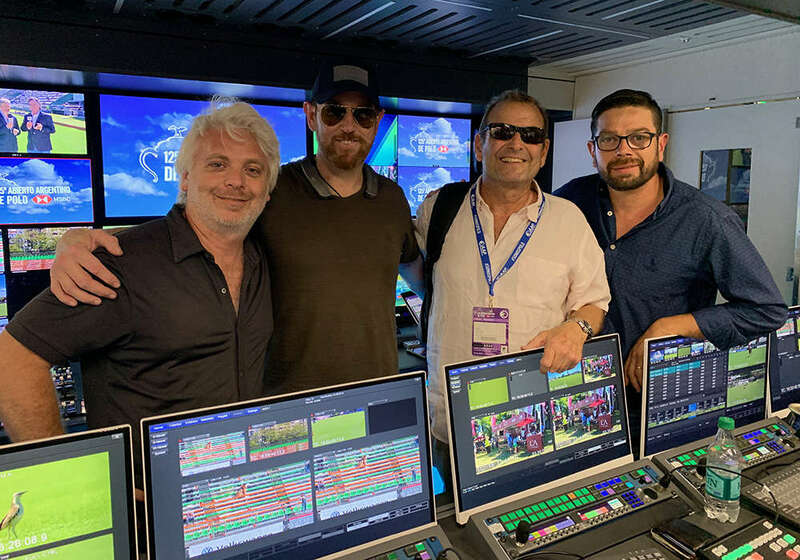 How did you get your first international opportunity to announce during the 2018 Argentine Open? Toby pictured with the ESPN team at the studio in Argentina. How was the experience of being in Argentina? 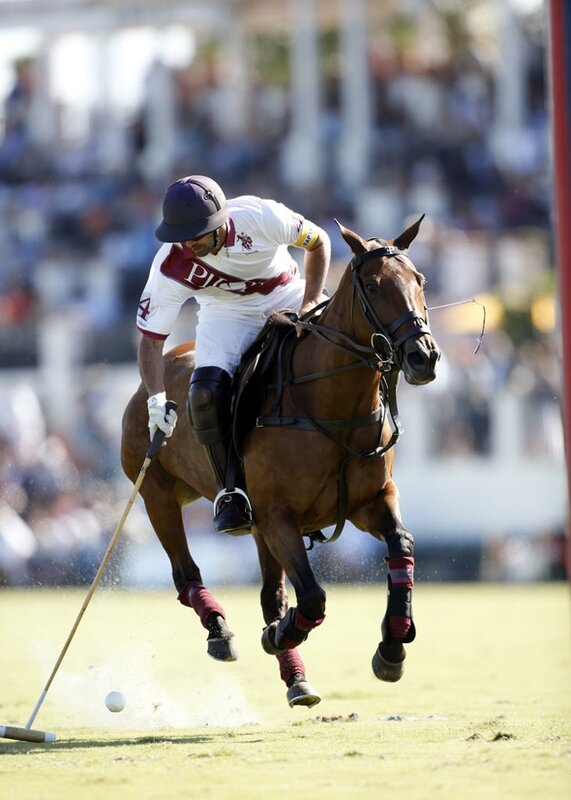 “Announcing in Argentina was definitely a bit of a learning curve for me because I’ve never played 40-goal polo. To do it properly I had to work at it a little bit until I felt comfortable. ESPN was pretty happy with my performance so there is a good chance I’ll get to go back next year to do the Argentine Open and perhaps the Hurlingham and Tortugas as well. While I was there I was invited to watch the Argentine commentators do their weekly show at the ESPN studio. It was neat to see the ESPN news desk, cameras and five control booths. I can’t tell you how much I learned from being there and having the opportunity to see how they run their broadcast. 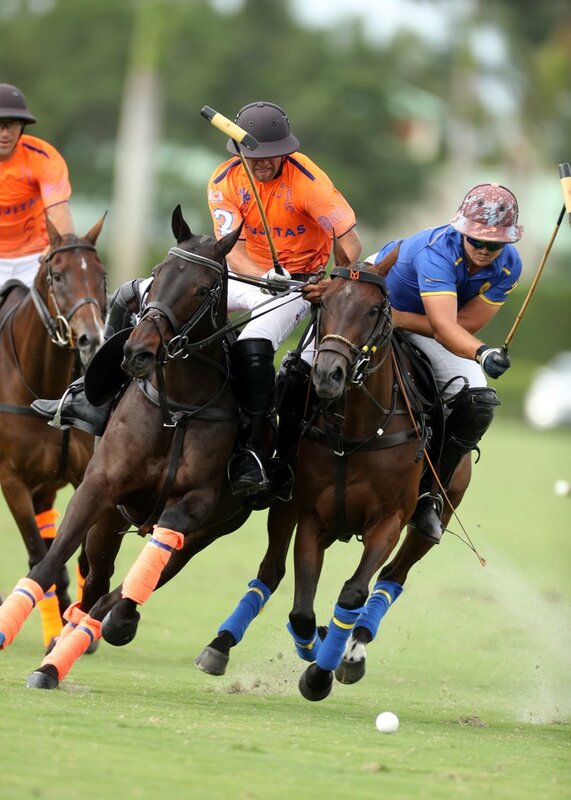 What do you think about the new Gauntlet of Polo™ tournament series? Broadcasting live from the studio in Wellington, Florida. Follow all the upcoming livestreamed games of the Ylvisaker Cup with Wayman starting this Saturday, January 19, at 12:00pm ET. 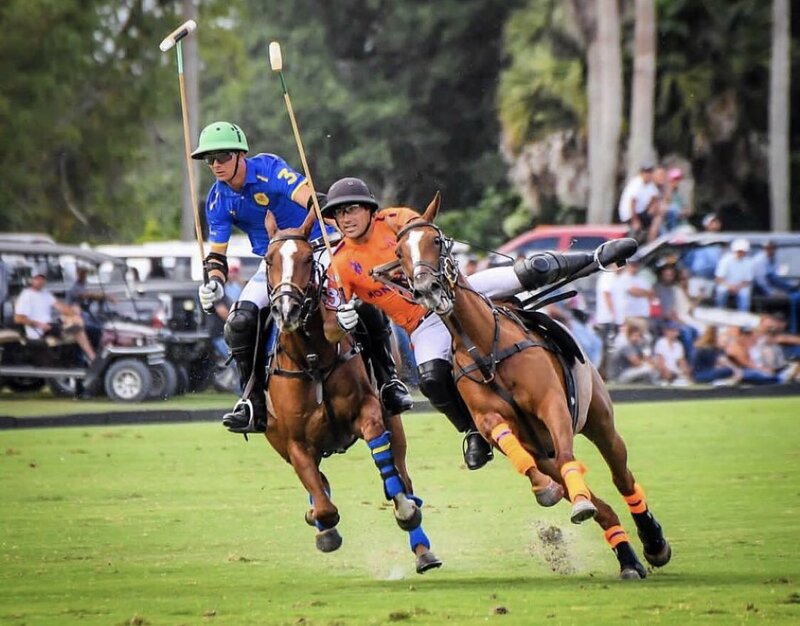 For a full schedule of tournaments and livestreamed games throughout the season please visit uspolo.org and tune into the USPA Polo Network broadcast on Facebook, Twitter or YouTube.